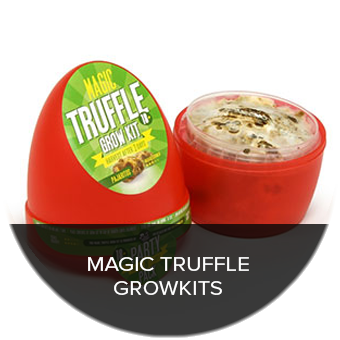 Trufflemagic - Fresh Truffles & Grow Kits What Are Shrooms? Shrooms is the collective name for all mushroom species that contain the psychoactive substances psilocybin and psilocin. These substances have hallucinogenic and psychoactive effects, and have been used by civilisations across the globe for centuries. 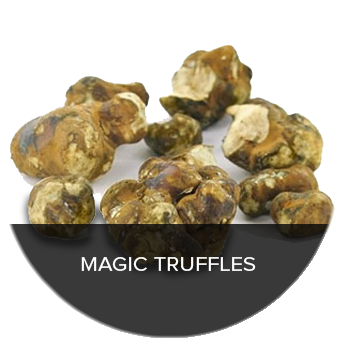 They are also known as magic mushrooms. Shrooms occur naturally in most places around the world, which means you can go look for them yourself. In most countries, the large-scale growing and trading of shrooms is not permitted, but because these mushrooms could naturally grow in your garden, growing them for personal use illegal is difficult. In this article, I will provide some information regarding the effects of shrooms, an overview of different species of shrooms, and I will show how you yourself can search for or grow your own shrooms. Because this is an overview article, there are many links to other articles that contain background information. Make sure you also read those. Shrooms have been used by a wide variety of civilisations across the globe for thousands of years. The effects of the Psilocybe Mexicana have been known to the indigenous population of Central and South America for a very long time. Users of this mushroom were said to be able to contact the afterlife, the future, or a higher reality. When the Spaniards discovered America 500 years ago, they also encountered what was considered to be a holy plant to the local population. The Spaniards, however, saw the veneration of this mushroom as something demonic and forbade the mushroom’s use. Despite this restriction, everybody kept using the mushroom because of its magical powers. In the forties and fifties of the 20th century, a lot of research was conducted into the mythical stories surrounding this mysterious mushroom. Little was known regarding it, and only the tribes living deep inside the remote forests of South America supposedly still used them. The American botanist student Schultes was the first to identify the holy Mexican mushroom and bring it back to his university. When the Second World War broke out, Schultes travelled to the Amazon area, where he spent twelve years doing research and discovered a variety of new species of plants. The Mexican mushroom cult was only discovered in 1955, when the first white man was allowed to participate in a mushroom ritual. The American Gordon Watson was also the first person who was able to artificially grow two species of mushrooms. Watson wrote a report about the mushroom in the popular American Life magazine. 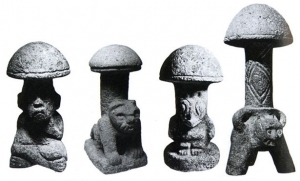 The mushroom cult of the Aztecs was no longer a secret. Since that time, many people have discovered the effects of the mushrooms, while, opposing their use, governments have tried to ban them. Luckily, shrooms grow abundantly in the wild, and you cannot forbid someone from picking and consuming a mushroom that grows naturally outdoors. Would you like to know more about the history of shrooms? Read this article, which is filled with stories and rituals about the use of shrooms by various civilisations. A mushroom is only considered a “shroom” if it contains the psychoactive substances psilocybin and psilocin. 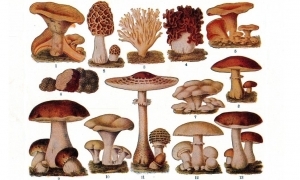 These substances have a hallucinogenic effect and are produced by hundreds of species of fungus. Many species of the Psilocybe family, such as the Psilocybe Cubensis and the Psilocybe Mexicana are particularly well-known. 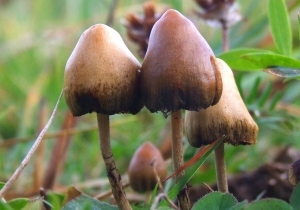 Psilocybin is directly converted into psilocin upon ingesting, which subsequently affects the serotonin receptors in the brain. As a result, the brain starts responding as if there’s a lot of serotonin present. Serotonin regulates our behaviour and mood, and has an influence on many other activities in the brain, such as the creation of dopamine and endorphin. 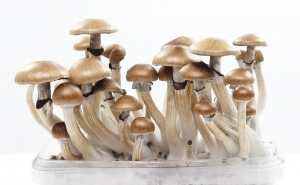 You can read more about the effects of psilocybin and psilocin on the brain in this article. Psilocybin and psilocin are absorbed by the mucous membranes of the mouth and the stomach, which means that for the best and fastest results, you must chew the shrooms well. The effects start after 15 to 60 minutes, depending on the type of shrooms that have been ingested, the quantity ingested, and your metabolism. In the initial phase, your body starts to feel a little heavier, your pupils become larger and light, and sound becomes more intense. 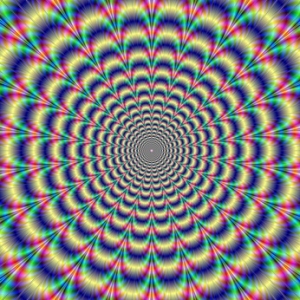 These feelings increase in intensity, making it feel as if you’ve diving into a rabbit hole or are on a rollercoaster going through a tunnel in which you are shown all kinds of images, colours and patterns. This is a good moment to lie down and surrender to the trip. Colours and sounds around you become even more intense. If you close your eyes, you see the patterns characteristic of Persian carpets and stained glass windows, only this time with colour combinations that you’ve never seen before. If you truly go deep into yourself, you sink into a different state of consciousness. The world turns inside and the moment arrives that you see as much with your eyes closed as with your eyes open. You enter a world with doors, rooms and patterns that you could recognise from a church or temple in Mexico, Egypt or Greece. Halls and doors, gates and stairs, jungles, mountains, other planets, carnival, strange faces; the flight from one colour and atmosphere into another. After the peak is over, the impressions are less overwhelming and the speed slows down. It becomes more like a jet stream that you can enter and drift off into other experiences. At this point, your heart has entered a level of profound gratefulness, love and peace. Enjoying music can be very nice here. The touch of a loved one might also feel more than amazing. If you are unable to surrender to the trip and try to remain in control, this could result in a negative experience. Therefore, it is important to know what happens in such an event and what you can do to prevent it. In my e-book, there is a trip guide in which I explain what happens from start to finish and what to look out for. Download my free e-book via this link. Shrooms occur in nature in large parts of the world, so there is probably a place near you where there are mushrooms growing that contain the substances psilocybin and psilocin. Exceptions are extremely cold areas like the North Pole or deserts around the equator. Apart from these areas, there are a few to be found in every country. 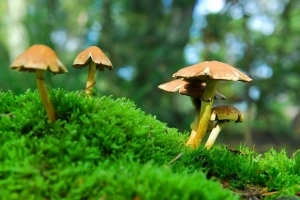 Shrooms generally grow in forests, grassland, meadows and on the wood of dead trees. Even though most shrooms appear in autumn, they can be found throughout the year. They don’t need much sunlight and live off dead plant material, which is why autumn is a good time to find them. I have created an overview of all the countries in the world and the shrooms that grow there. Would you like to know where shrooms grow and which species are present in your country? Check this article called Where do different species of shrooms grow? It’s also handy if you want to search for shrooms yourself. There are hundreds of different types of shrooms, and they all have their own specific characteristics. The most well-known are from in the Psilocybe family, such as Psilocybe semilanceate or Psilocybe cubensis, respectively known as “the Mexican” and “liberty cap”. But, there are also many famous species in the Panaeolus or Inocybe family, such as the Inocybe aeruginascens and Panaeolus acuminatus. Each mushroom has its own appearance, preferential living environment and effect upon ingestion. Some species are much stronger because they contain more psilocybin and psilocin. The taste also differs greatly, and experienced users can also notice a difference based on the type of trip they go through. Would you like to search for shrooms yourself or are you interested in the various species of shrooms? Check out this article. It provides an overview of all the species of shrooms there are with a photo and the places they grow. If you would like to search for shrooms yourself, it is most important that you know what you’re looking for. There are many different species of mushrooms and they can look an awful lot like one another. Some species are poisonous, some contain hallucinogenic properties and others have no effect if ingested. I myself always really enjoy searching for shrooms in the wild. I usually look for mushrooms with hallucinogenic properties, but if I find a nice chanterelle or cep, I pick them and use them in a nice dish. You can pick shrooms throughout the year, but most can be found in autumn. It is a good idea to lay some to dry so that you can keep them. I have created an overview of all species of mushrooms there are and where they can be found. Really handy if you yourself want to go out and look for shrooms. You can find this overview in my free e-book. Growing your own shrooms is very fun to do and it is absolutely fantastic to trip on the shrooms you grew yourself. There are many ways to grow shrooms. You can grow them on rice or hay, for example. You can grow them indoors and outdoors, and there are a variety of species that you can grow. But, for each growing method, it is important that you work with a sterile environment. Everywhere in the air there are spores, fungi and bacteria, all looking for a place to reproduce. As soon as your substrate (hay, rice, or earth) has been contaminated by other spores, the fungus of the mushroom can no longer gain a foothold there. 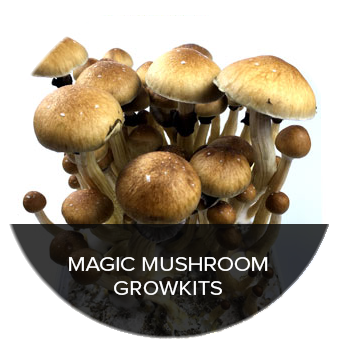 On our site, we sell growing sets to grow your own shrooms, which is a good place to start. The mycelium has already formed and you only need to ensure the right humidity and the right temperature. Not all that hard, but you will see that there’s more to it than you’d think. 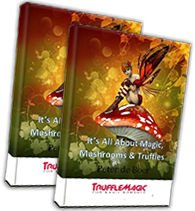 Click here for an overview of all types of mycelium growing kits. Would you like to grow your own shrooms from spores? Or make your own spores? Check this article, in which I explain from start to finish what you need to pay attention to. Do shrooms need to be dried out before ingesting? No, they don’t. Trying them out is useful for extending the shelf life and for making teas. If I send you a picture can you tell me what shroom type it is and if it is psychoactive? Hi Carl, yes just send them to my email!